There might be several reasons why you’ve just evicted or are planning to evict a tenant – the tenant might have failed to fulfill the financial obligations towards you or has been destructive with your property and other assets. No matter what the reason, a majority of evicted tenants are vindictive and the chances of a retaliation break-in cannot be ruled out. This is why, you need the assistance of Anchor Locksmith Store’s eviction locksmith services in Houston, TX area to ramp up the security of your property and keep it safe from the untoward intentions of former tenants. You cannot simply change the locks and refuse entry to the tenant. If the law is on the tenant’s side, you might end up paying hefty sums in legal fees. Unless you have a court order and are backed up by the authorities, a forceful eviction is not a wise choice. However, if you’ve got all the paperwork right, all you need to do is call Anchor Locksmith Store. Our locksmiths will arrive on the scene at once to assist you with the eviction. Once you call in our experts for eviction locksmith services, they will assess the locks in the zones to which the former tenant had access. If the tenant hasn’t damaged the locks, our team can rekey the same locks instead of replacing them entirely. 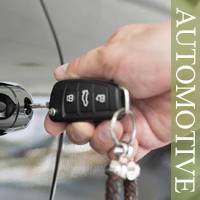 A rekeying procedure costs lesser than changing out the locks entirely and assures as much security as a new lock does. Our technicians will change out the inner mechanism of the lock so that it is operated by a completely new set of keys. So any old key that your ex-tenant might be holding on to is rendered useless. In some cases, clients choose to be extra sure about the security of their premises and opt for a complete security overhaul after an eviction. You might not even be aware that there’s a broken latch on the window. Former tenants know the layout of your property well and can easily exploit such security loopholes. If you need complete peace of mind, call in our eviction locksmith services to give your property a careful once-over. They will identify any weak links in your security, suggest lock upgrades and secure your property from any unwarranted threats. Evictions are unpleasant – don’t make them any more complicated than they already are! 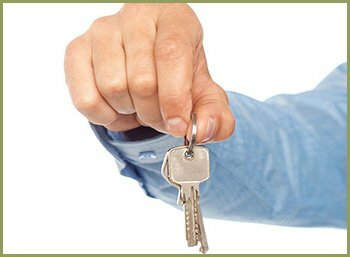 Avail Anchor Locksmith Store’s eviction locksmith services for smooth and hassle-free evictions in Houston, TX area!